Daniels is known for their creative and innovative approach to condo amenities, and once again, they have exceeded expectations. First of all, there’s an arcade. With table tennis, a pool table, arcade games and foosball, it’s fun for all ages! This is a great way for neighbours, friends, and family to escape their computer and phone screens, and engage with each other in a more personal way. Clearly, Daniels understands that parents with children are deciding to call high-rise condos home. Daniels also understands that more people are working from home and are self-employed. 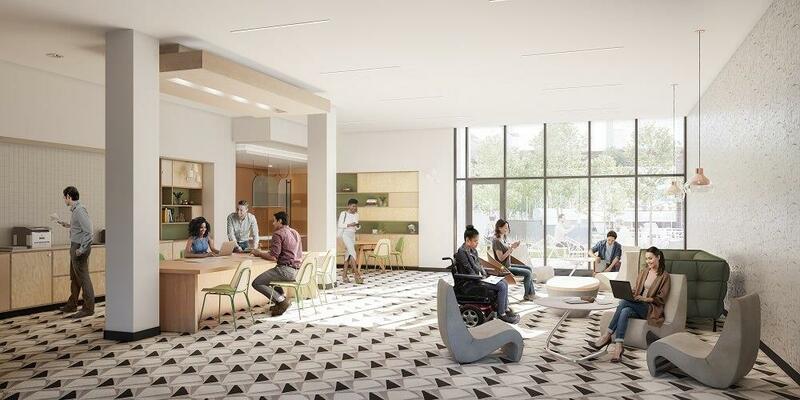 With that in mind, Artworks Tower features a sophisticated and comfortable coworking room with meeting and conference space, printing services, and access to the outdoor terrace. The outdoor terrace is a place where you can work, play, and relax. The lush landscaping is soothing, providing a burst of greenery, and there are barbecues and lounge areas. And of course, there are gardening plots, which have become a staple in Daniels’ condo communities. There’s another outdoor area at Artworks Tower called the Living Lane. The tree-lined, animated urban space is designed for hanging out with friends and neighbours, and hosting local programming. 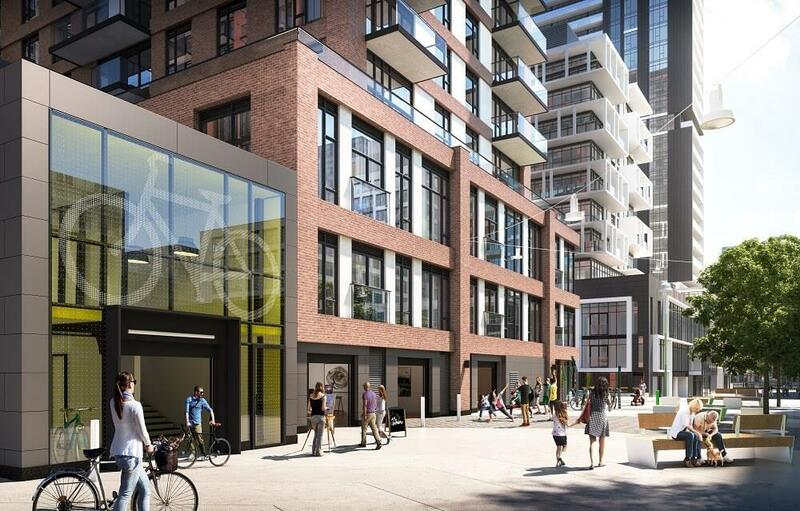 Judging by the rendering, it looks like there may be a special bike entrance as well! The Living Lane concept won the Toronto Visions and Master Plans – 2017 Toronto Urban Design Award of Merit. 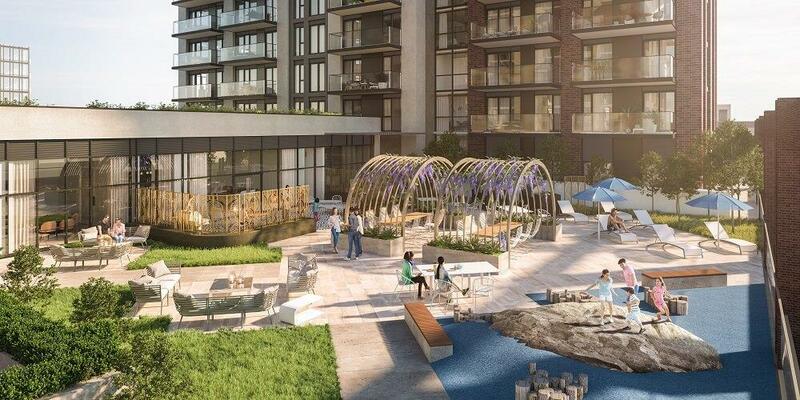 When was the last time you heard about a new condo with an award-winning amenity? The party room at Artworks Tower features a bar, ample seating, and a view of the outdoor terrace. This space is perfect for small to large functions, casual and formal. It’s a flexible space that allows you to host your party your way. One last amenity we want to highlight is the state-of-the-art fitness facility, which is equipped with cardio machines and weights. 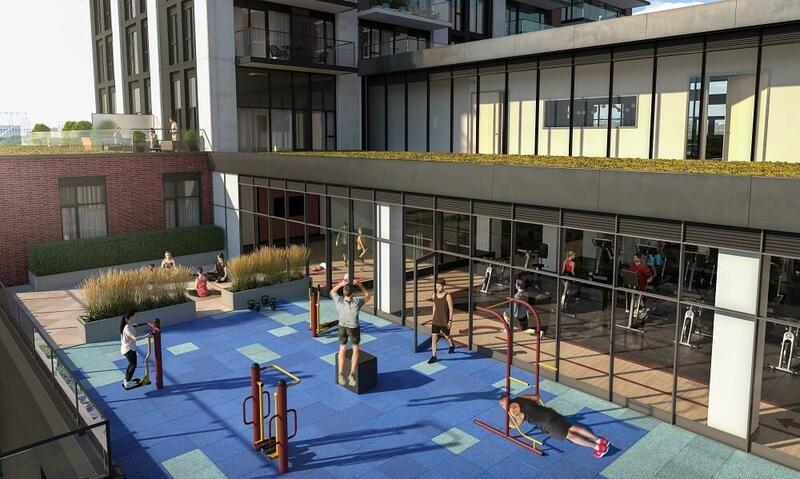 What makes the Artworks Tower gym stand out is the outdoor crossfit and yoga area! Whether you’re training your mind or muscle, there are many options. Daniels told us that the Artworks Tower Inner Circle is closing October 4, so you have to join before then if you want to guarantee yourself an invite to the very first sales event. There is a $300 fee to join the Inner Circle. When you buy your unit, the fee goes towards your purchase price. If you decide not to buy, then you are fully refunded, no questions asked! It’s completely risk free, so make sure you join before October 4!